Patients at the present have an extended anticipation, because of the enhancement in health science. Further systemic and oral diseases are predisposed with increase in age. Patients who get dental treatment in dental hospital or clinic might have systemic diseases and may be they are on medication. Many of these systemic conditions have manifestations in the oral cavity. The aim of dental management is to provide therapy with no complication in such patients. 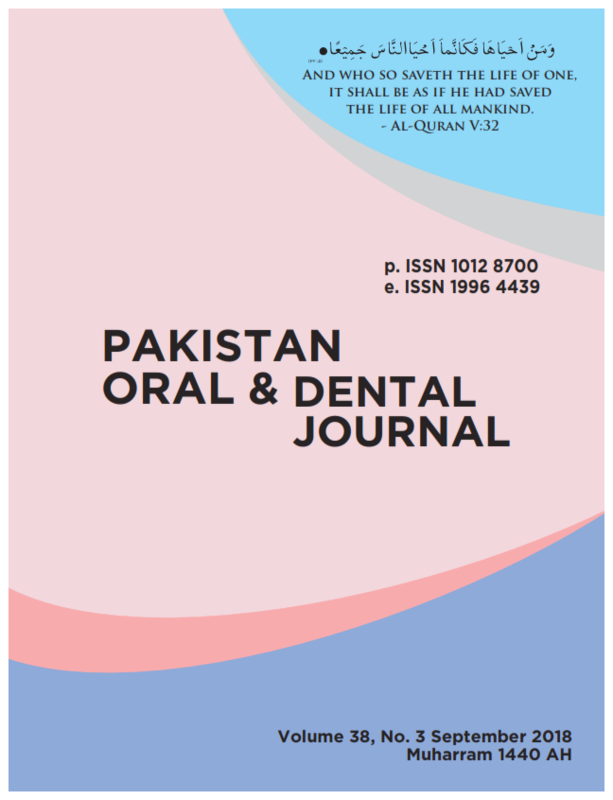 The purpose of the present study was to find out the frequency of systemic diseases in patients who were seeking for dental treatment in Oral Diagnosis & Medicine Department of Sir Syed Dental Hospital, Qayummabad, Karachi, Pakistan. The data were collected in two months duration (August to September 2017). Male (70) and female (137) patients of age range from 2 to 70 years old were analyzed through medical records.